Rome is a great place to get away from occasionally, and a recent trip to Paris with my kids was just what I needed to recharge my batteries. 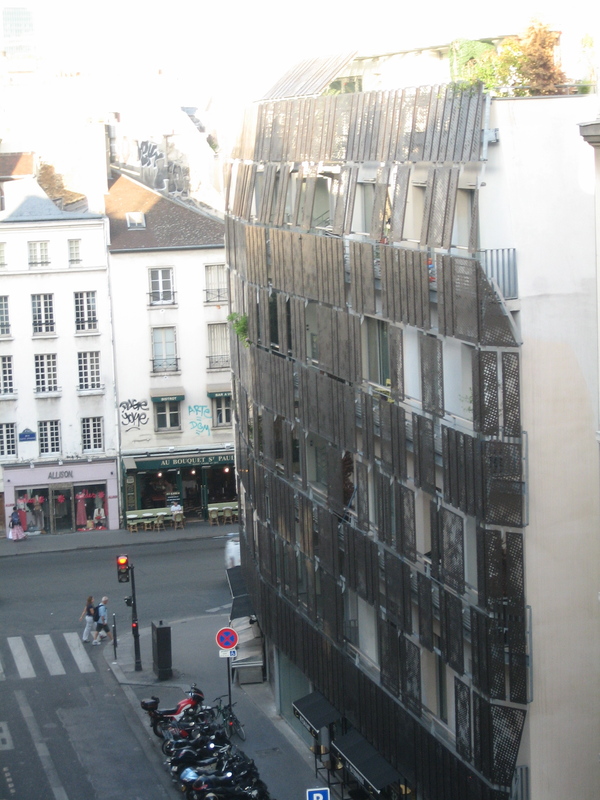 We did the touristic things, the Louvre, the Eiffel Tower, Montmartre and the Beaubourg (where I’m sure I saw architect Renzo Piano), but we also did a great seminar with Context and explored the neighborhoods, getting a good feel for the city. 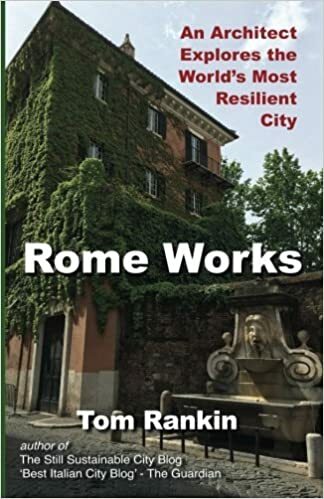 Obviously, it is difficult to compare Rome and Paris, the latter being a much bigger metropolis with a different, (shorter) history, simpler hydro-geological structure and, above all, a head-start on its transformation into a European capital. 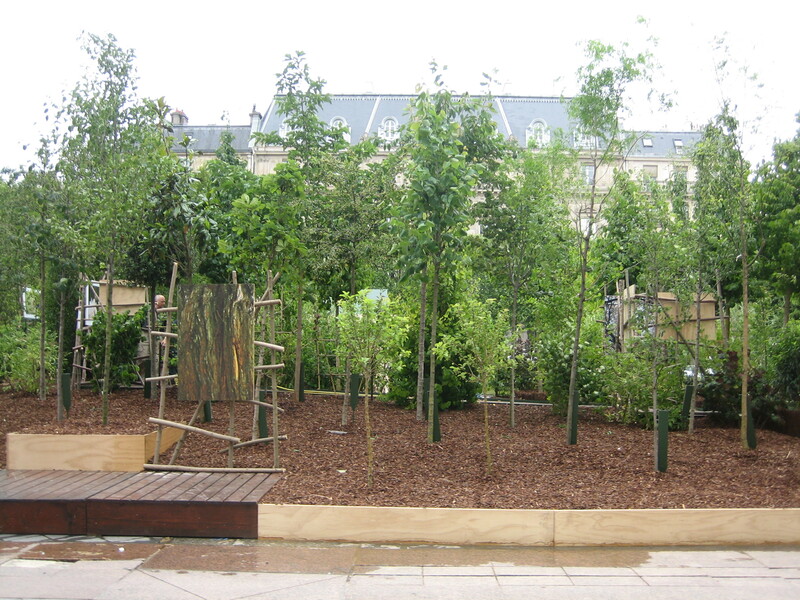 Rome was still a village when Haussman modernized Paris. It would be misguided for Rome to try to copy what works there. The Seine is a great resource and is used by the city as such, for navigation, for some automotive traffic, for picnics, recreation and art. 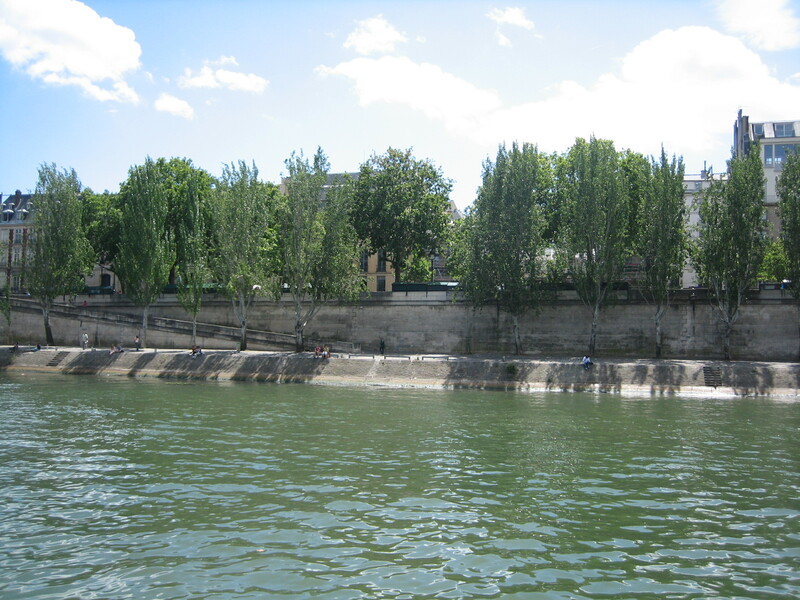 Its section is more varied and complex than the Tiber’s, where the embankment walls built in the late 19th century offered the simplest, most costly, and dumbest response to the interface between city and river. A boat-ride along the Seine, albeit touristy, provided us an opportunity to understand Paris from a different, important point of view. Central Paris has a lot more people and a lot few cars than Rome: the result is a vibrant, elegant, aesthetically-pleasing experience for all the senses, a feeling of safety and civility that has been lacking in Rome for years. By contrast, a walk through central Rome, stepping around big metal hulks and trying to speak over their roar and breath something other than their exhaust, feels pretty backward and poverty-stricken. Paris is one of those cities mentioned in a recent New York times article which discourages private cars, making it physically impossible to park at intersections, on sidewalks and on most streets in the city center; the result is the virtuous circle of better public transit, more bike and pedestrian-friendly streets, and thus more people happy to leave their cars outside the city. The Paris metro is old and not always in great condition, but it gets you just about anywhere. Fortunately, Rome is not locked into aging infrastructure as are most global cities. Although big construction interests are foolishly pursuing antiquated mega-projects like the Metro C (which will cost more than the city can afford and most-likely never become a viable transit option), Rome can still make the decision to plan a smart 21st century public transit network. Just yesterday I met with Professor Antonio Tamburrino, the engineer who has been working on sustainable transit plan for Rome, and video-taped our interview which will be posted on a future entry. 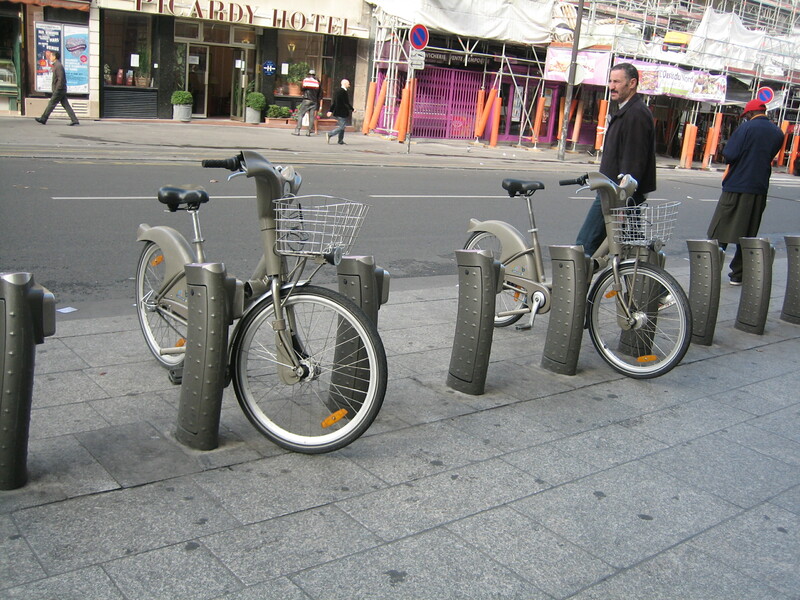 Paris has a bike-sharing system that works. 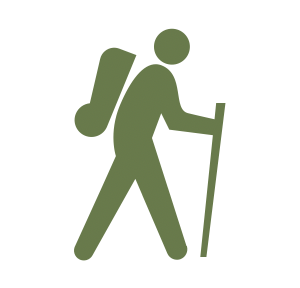 Although we didn’t try it out ourselves, we certainly could have, which is not true for visitors to Rome at present. What’s more, there are clearly marked bike lanes and places to park bikes everywhere. By contrast in Rome the other day I witnessed a priest and a vigile urbano seriously discussing the problem of a bicycle locked to a post outside the church of San Lorenzo in Lucina (while double-parked cars nearby blocked access to the pedestrian piazza). I suggested that if every church in Rome installed a bike-rack it would provide a great incentive for cleaner transportation and help improve the church’s public image. The priest responded saying that bikes are an eyesore. Despite all this, I really do love coming back to Rome (with newly renewed energy to fix what’s broken and appreciate what’s great). Interesting comparison to Rome Tom. For two major European cities, it’s true that they two capitals are quite different. We are happy to host Romans here anytime though! Next visit you’ll have to try out the Ve’lib bikes!